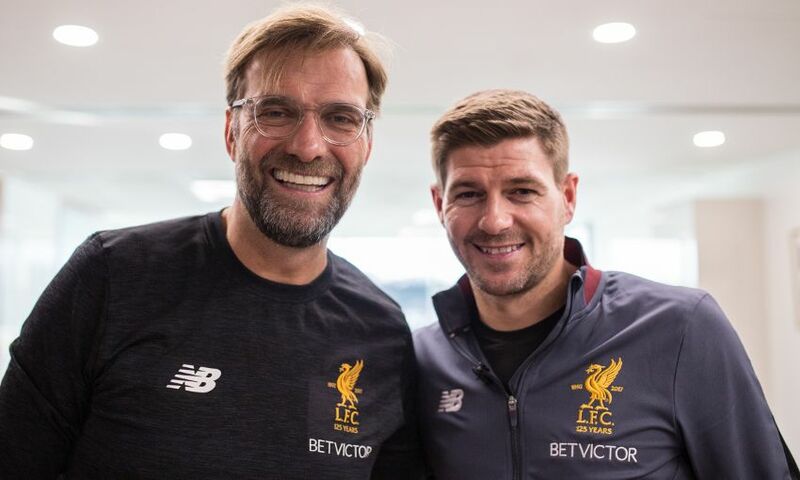 Steven Gerrard can still lean on Jürgen Klopp as he continues his fledgling journey in senior management with Rangers. The Liverpool legend returned to the club he represented for 17 years on the pitch when he took up a coaching role at the Academy in early 2017. Later that year, Gerrard was appointed manager of the club’s U18s side and, after a season of honing his approach from the dugout, grasped the opportunity presented to him by the Scottish giants. Before assuming the reins at Rangers, he carefully studied Klopp’s methods and that learning has not stopped since the Reds icon stepped out on his own in the summer. “I was like a sponge, watching and learning. I watch him on TV and see how he handles situations,” Gerrard told the Guardian of his relationship with the German. He continued: “Jürgen’s really good at switching off. When the game is on he’s very emotional but once it’s over he can park the emotion. That’s why he’s so good at handling the pressure. Gerrard, of course, came agonisingly close to leading Liverpool to the Premier League title as captain in 2013-14 having previously won the Champions League, UEFA Cup, FA Cup and League Cup with his team. After reaching last season’s European Cup final, the Reds have made an unbeaten start to the current league campaign as part of their ongoing development under Klopp. The former captain is encouraged by what he has seen from afar – and will be cheering on his old side as they aim for ambitions he feels are achievable. “I love Jürgen Klopp and I believe he can help Liverpool win the Premier League. I know what it will mean to the fans because they suffered so much in 2014,” said Gerrard.